It’s the time of year where it’s cool enough for a jacket or sweater in the morning, but by the end of the day you’re a sweaty mess. The city of Fargo and the surrounding area is going through a moody phase where it can’t decide if it wants to jump into spring or if it wants to remain secluded in winter. These mood swings can make it especially difficult to plan an outfit. Layers will be your best friend this time of year. Tossing on a sweater or jacket over your top can make the biggest difference. When the sun decides to show itself in the warm afternoon, the sweater or jacket can come off, and you can avoid a river running down your back (or maybe that’s just me). For a chic look, pairing a classic, white button down underneath a sweater is the way to go. If you want to spice things up, try a print. Layers aren’t just for clothing. 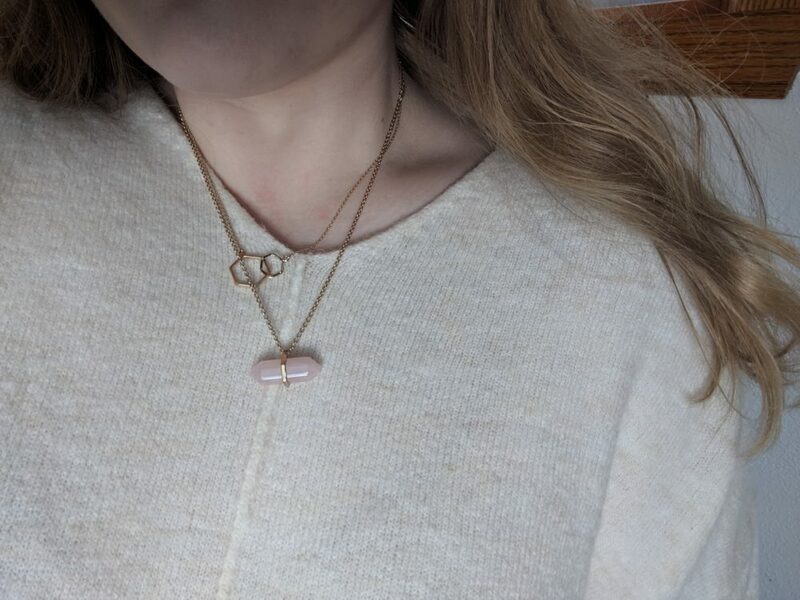 For the warmer days, pairing multiple necklaces together can turn a plain sweater into something more stylish. The dainty, printed scarves from the ’50s are back. Neatly tie that bad boy around your neck in the morning for a pop of color, then use it to tie your hair up when the temperature rises in the afternoon. Headbands are all the rage at the moment with the “boho” trend. 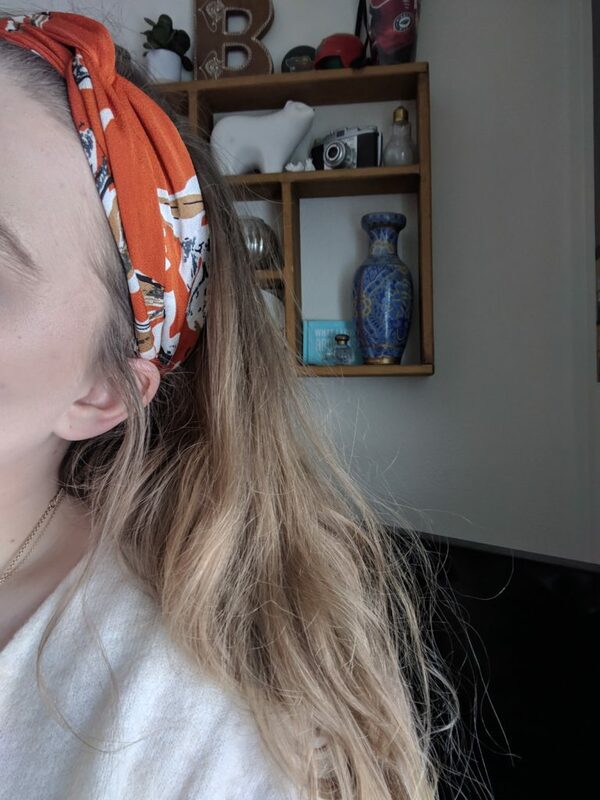 Throw on a headband to add something special to an otherwise standard look (or to cover up the fact you haven’t washed your hair recently). 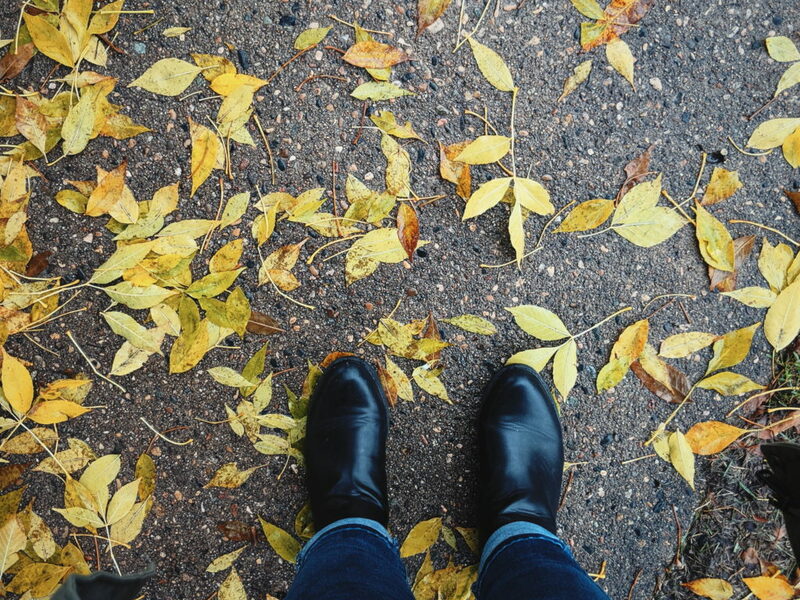 (These) boots were made for walking (through puddles and ice). A good pair of boots has saved my life so many times making the treacherous journey from my car on the street to the classroom. At this time of year, the ice can play tricks on you because it’ll look like a puddle, but it’s really frozen and waiting for you to take your last step in this seasonal purgatory we’re living in. During this time of year, our bodies are mostly covered by a jacket, so adding a bold top underneath or wearing printed pants can make your outfit stand out. These tips can help you out until Fargo decides to make up its mind about what season it’s in.